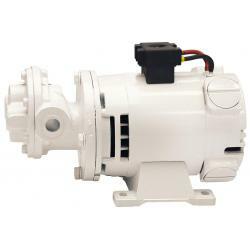 Pump group gear type IN12 24V | Exalto Emirates LLC. Pump group ready to be installed on board. 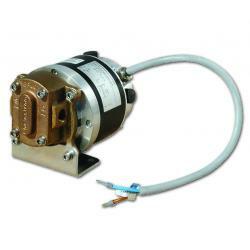 Suitable for diesel oil, fuel, lubricant or similar liquids intake. For fluids with viscosity up to 6° E. Maximum standard working temperature 90°C. Mounted on a strong aluminium base complete with vibration dampers. 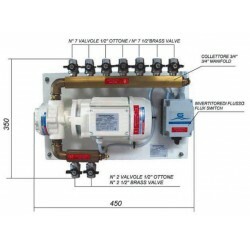 The system is supplied with a flux switch and two manifolds. 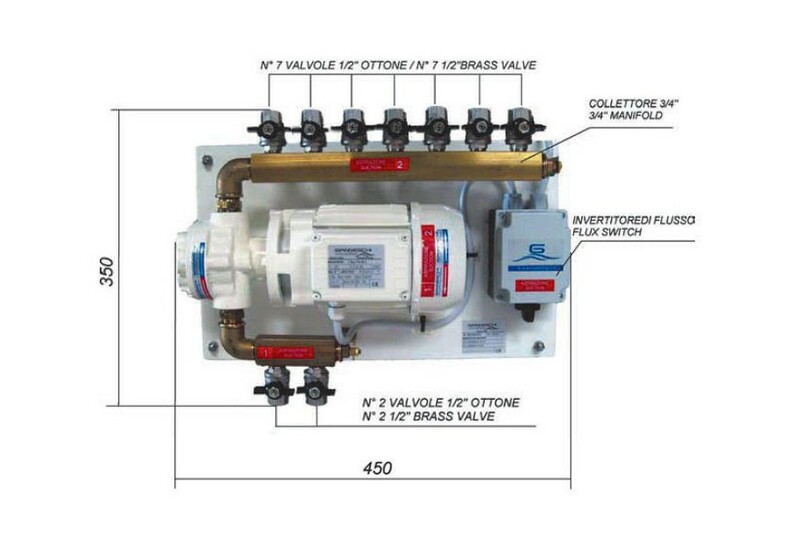 It is suggested to install an over- pressure device on the fluid transfer line. Number of mounted valves according to customer specification. Technical characteristics according to “IN – FQ” electrical pumps series in the execution without by-pass.